It wasn’t a routine day for a sheriff’s officer after she spotted a donkey meandering along Interstate 90 near Chicago. A leading figure in the #MeToo movement says the extent of sexual harassment in universities is horrifying. An online tool created by a north-east university is helping the descendants of Scots to trace their ancestors. Ferrari is recalling a number of models worldwide, including more than 2,000 in America due to a potential fire risk. A globetrotting dog has racked up more than 330,000 air miles over the past year. Newly restored letters from the Irish War of Independence have unearthed a detailed description of a battle in the city of Londonderry. 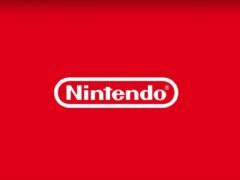 Nintendo of America (NoA) has appointed a new president called Bowser, the same name as the arch-nemesis of the video game manufacturer’s perennial hero Mario. Audi has launched a feature to cut the time drivers have to wait at red traffic lights – and even avoid them all together. A baby has experienced his first taste of viral fame, after social media fell in love with his adorable “100-Days” celebration photos. Democrat presidential candidate Elizabeth Warren took aim at President Donald Trump on Sunday, saying he “may not even be a free person” by next year’s election. US Democratic Senator Elizabeth Warren has officially launched her bid for the 2020 presidency with a call to fight economic inequality and build “an America that works for everyone”. A Tesla driver in America has posted footage of his narrow escape in a blizzard to the internet, after his car’s autonomous driving sensors appeared to detect and react to a crash before the driver could see it had happened. A historic north-east castle turned red, white and blue to help celebrate a twinning agreement. Members of the fishing industry will meet the US ambassador today to discuss trade opportunities. Think you need hands to paint a work of art? Think again, as baby birds try their hand at some zoo crafting. A smog-busting device pioneered by Aberdeen academics has been showcased to US senators in a hope it will make factories greener. It is unlikely Donald Trump be jetting into the North-east this weekend, according to aviation guidelines. 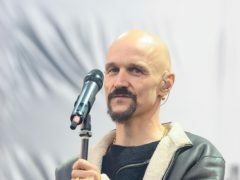 Tim Booth, the lead singer of the band James, has said Donald Trump is “incredibly dangerous” and believes today’s political landscape resembles 1930s Europe when Adolf Hitler’s Nazi party was in power. Chrissy Teigen performed a mocking impersonation of President Donald Trump during a speech at a protest against the separation of migrant families. 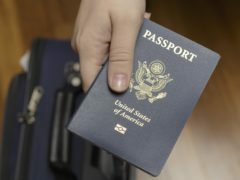 Starting in August, Customs and Border Protection (CBP) in the United States will begin testing a new system for scanning drivers’ faces as they enter and exit the country. 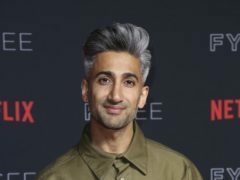 Queer Eye host Tan France believes an upcoming episode of the makeover show featuring its first transgender “hero” will combat ignorance of the trans community. Toys 'R' Us will be putting their iconic mascot Geoffrey the Giraffe up for sale next month. A former special forces soldier from Aberdeen has smashed two world records on an epic cycling adventure on the other side of the world. An international team of researchers has travelled over from America to help support the North-east’s health board. Passengers from Aberdeen will soon be able to benefit from a new easyJet service which help cut down on hassle when transferring to long-haul flights. A North-east couple today told how they had been attempting to sell their Houston home before it was engulfed by the devastating floodwaters. Anti-folk and underground comic book legend Jeffrey Lewis is relishing a return to the Granite City. A man has been issued a £800 fine after he admitted driving dangerously on a North-east road. Donald Trump has today confirmed that transgender people will not be allowed to serve in the US military.